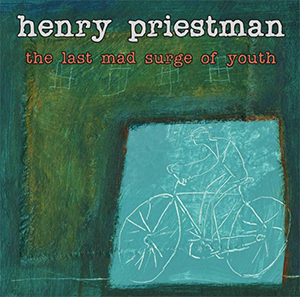 Henry Priestman rose to fame in the late '80s as a founding member of the band The Christians with whom he enjoyed considerable success with their first two albums reaching numbers 2 and 1 in the UK album charts, and a string of singles that reached the top 30. Since leaving the band he's worked as a producer and in 2009 released his first solo album, "Chronicles of modern life". That album was written in just three weeks and recorded in under a month. Now he's releasing his second album - The last mad surge of youth. The album was almost ready for release in 2010 but he suffered two family bereavements and work on the album got put on hold. As a result he's spent more time writing new songs and says "It's a more poignant and reflective album (and slightly less of a Chronicles of modern life part II) than the original version would have been". "Valentines song" has been used as the central theme of the short film 'Kismet Diner' (and of course features in the soundtrack), so rather than me telling you about the song, you can see the film and hear the song for yourself. "The last mad surge of youth" is thoughtful and introspective and is a superb song. "Rant'n'Rave" covers corrupt politicians, crap TV, racists and more in the lyrics. The lyrics are quite angry, but the music isn't dark - in contrast it's quite light and catchy. It's a great song - but then again the whole album is great. This is an excellent album and is highly recommended. "The last mad surge of youth" will be released on 17th February 2013 on Proper Records.